According to the Daily Mail, Crystal Palace have ‘expressed an interest’ in Joe Lolley with manager Roy Hodgson looking to bolster the Eagles’ attack in the January transfer window. Forest are desperate to keep Lolley at the City Ground at least until the end of the season. Palace are six points above the relegation zone after 18 games but have scored only 17 goals. Despite having Wilfried Zaha and Andros Townsend on the wing, the Londoners are still struggling in the final third and may be looking at Lolley to supply the bullets for Christian Benteke and Jordan Ayew. The Englishman has contributed 13 goals in the Championship this season and has been a key player for Aitor Karanka. 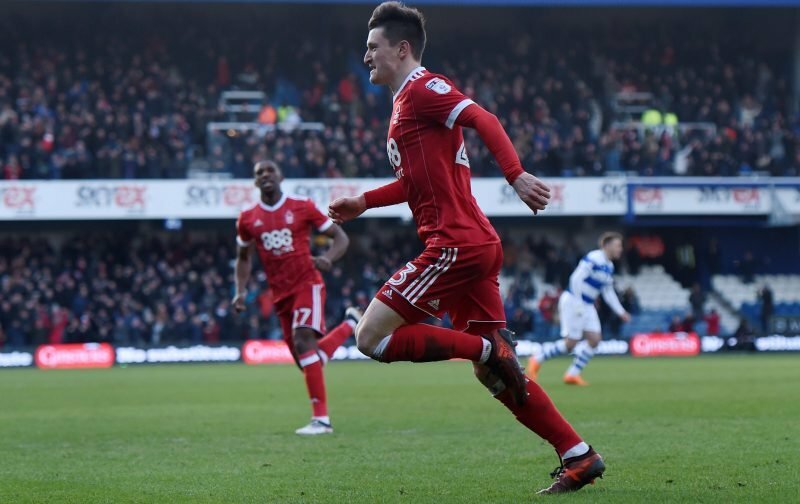 Lolley’s form has spiralled in recent weeks, however, which could see his future in even more doubt as Forest are also suffering. The Reds are three points adrift of the playoffs and have gone three games without a win in the Championship. Despite this, Forest should be able to retain Lolley’s services as he has four more years left on his deal and won’t be allowed to leave on loan. Palace are reported to have a ‘limited budget’, so they may not be able to match Forest’s valuation of Lolley in January.